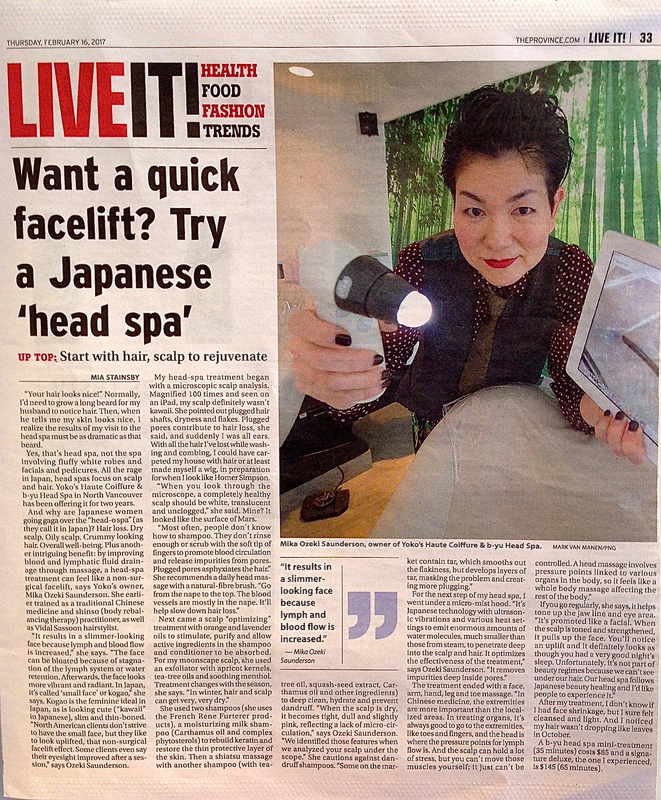 Yoko's Haute Coiffure's b-yu Head Spa featured in The Vancouver Sun and The Province! Home > Blog > Announcement, Media Coverage > Yoko’s Haute Coiffure’s b-yu Head Spa featured in The Vancouver Sun and The Province! Yoko’s Haute Coiffure’s b-yu Head Spa featured in The Vancouver Sun and The Province! ← Life Is Art! — Happy New Year from Barcelona!